In yesterday’s extraordinary meeting, MidCoast Council resolved to proceed with its submission in response to the NSW Government Department of Planning and Environment’s (DPE) proposed Rocky Hill Coal Mine proposal. Based on the assessment of key criteria in preparing its submission, Council has recommended against the Rocky Hill Coal Mine Proposal, and nominated over 50 conditions of consent considered necessary if the DPE decides to approve the Proposal. The submission also considers the Statement of Environmental Effects for the separate DA modification for the Stratford Mine to be inadequate, particularly in relation to air quality impacts of the proposal. Covered in the comprehensive submission are two key components. Roger Busby, Manager Strategic Planning explains “Our submission opposes the Rocky Hill Coal Mine on grounds that include its proximity to the Gloucester township, and because the Environmental Impact Statement did not adequately address issues such as air quality, noise, the cost/benefit analysis and the terrestrial biodiversity assessment”. The second component provides 55 recommendations to the DPE should they proceed with the proposal. “These include measures regarding strategic planning for Gloucester township, blasting and vibration, traffic and transport, air quality, noise, building works, the need for a biodiversity management plan and sediment and erosion management” Roger added. Importantly, Council is also recommending a Voluntary Planning Agreement be made to support a community grant program aimed at reducing adverse social impacts of the mine. Administrator John Turner, who gave the go ahead yesterday, congratulated council officers on their professionalism in the preparation of the submission, and their consideration of NSW planning laws. His summation stated the mining proposal is too close to residential areas. “In rural NSW new coal mines are mainly located in areas out of towns and villages, where there are large agricultural holdings and the zone of affectation is up to two kilometres. In the case of the Rocky Hill Mine proposal there are substantial residential areas within 900 metres in one direction and in another direction within 1.8 kilometres, with the town of Gloucester five kilometres away” he said. 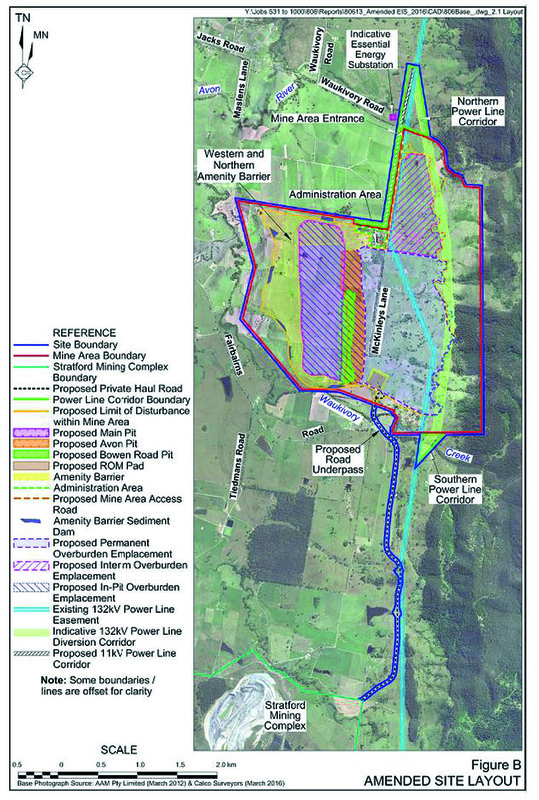 The DPE’s amended Environmental Impact Statement for the proposed Rocky Hill Coal Mine, near Gloucester, was placed on public exhibition 17 August, alongside a proposal to modify the Development Consent for the Stratford Mine. Both are State-Significant Developments, which means the DPE is the consent authority. For more information and to make a submission please visit: www.midcoast.nsw.gov.au/rockyhillproposal before Friday 14 October.